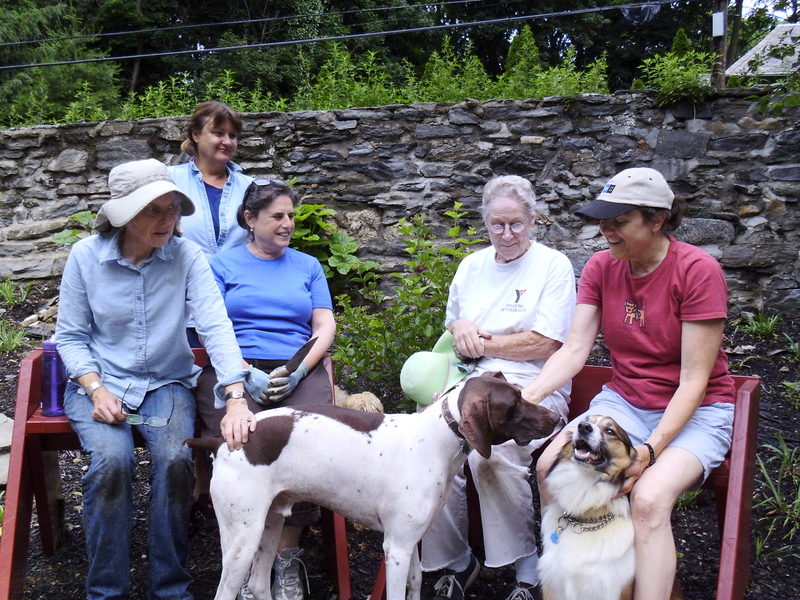 Our first project, begun three years ago, was the creation of the Wildlife and Respite Garden in the fenced area adjacent to the parking lot. In 2016, we continued maintenance and planting of this area. 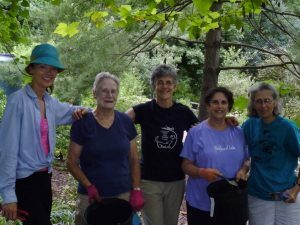 Our watering team kept the garden going during the severe drought, and additional volunteers kept after the weeds, cut back overgrown sedge, and did some more planting. 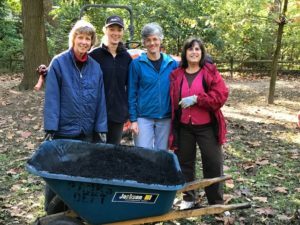 For the first time in 2016, we expanded our ecological efforts to the main park and held three work days centered on invasive plant removal –specifically, Japanese Knotweed. Knotweed crowds out many beneficial plants and is extraordinarily difficult to control. 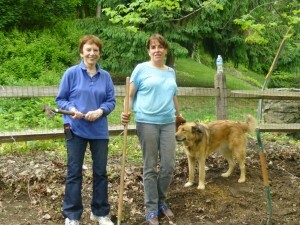 We succeeded in cutting and removing 700 pounds of knotweed from the park! Altogether 22 volunteers contributed 92 hours at our work days. 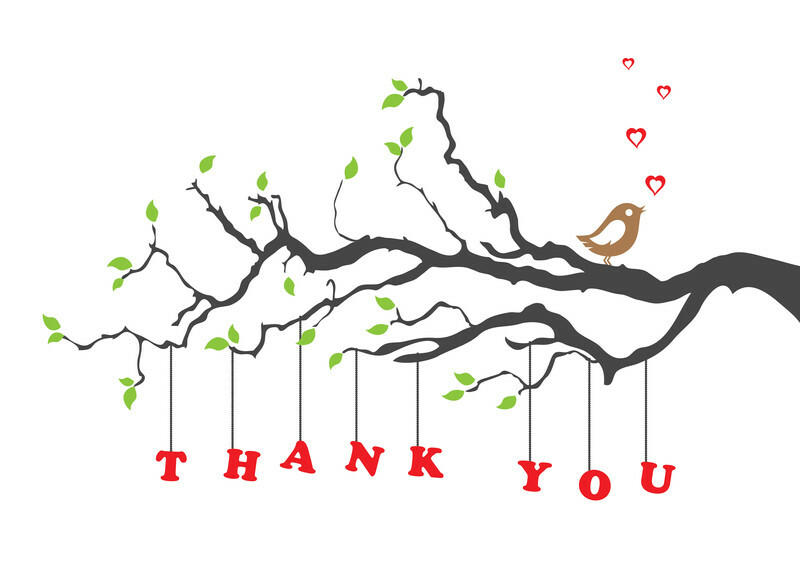 Thanks go to Judy Argon; Julian, Susan, and Paul Brenman; Ellen and Stephen Briggs; Paula Burns; Chris Bushnell; Daniel Cohen; Michelle Detwiler; Mary Field; Pinkie Hamilton; Bobby Harmelin; Karen Hinckley; Hazel Murphy; Linda Pitt; Ellen Reese; Elaine Stern; and Mark Wassmansdorf. In addition, freelancer members Rich Cutshall and Craig Oliner spent uncounted hours clearing trails and removing debris. 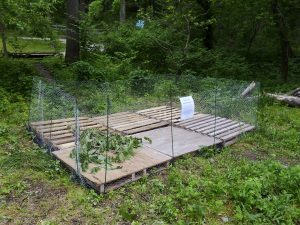 Rich even made us our Knotweed Penitentiary, where cut knotweed may be stored without danger of re-rooting itself into the park lands. This entry was posted in Volunteers on April 6, 2017 by Ellen Briggs. In 2015, we held 8 official work days, plus ongoing watering duty during weeks of insufficient rainfall. 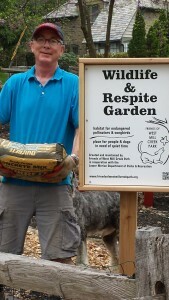 Altogether 21 people donated a total of 93 hours of labor in our Wildlife and Respite Garden. Special kudos to our watering team for many hours of watering during a drought-ridden summer! 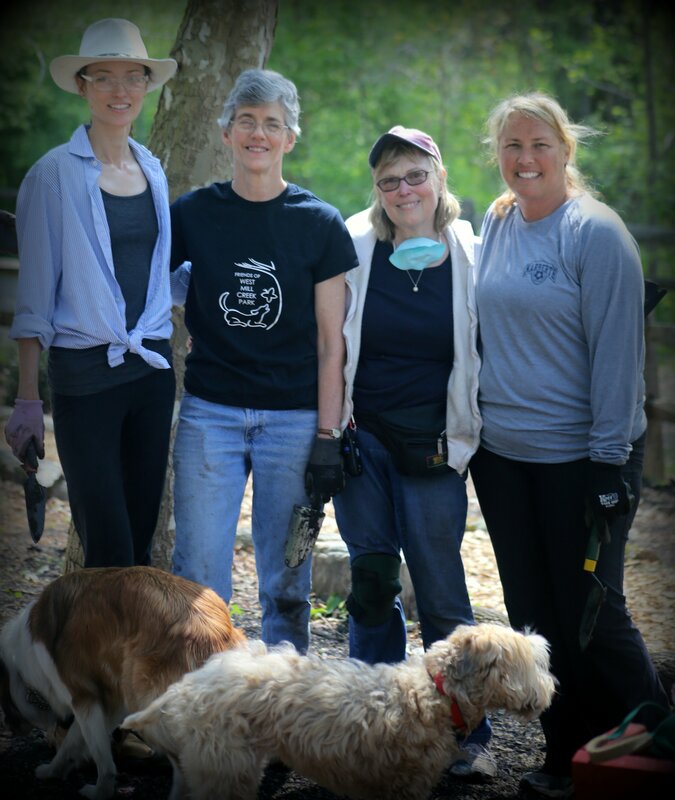 L to R, Michelle Detwiler, Ellen Briggs, Ellen Reese and Melissa O’Connor pause for photo op in May 2015 marathon planting of 450 Blue Wood Sedge. Melissa O’Connor, Linda Pitt, Ellen Reese, Toba Spector, Wendy White, Ellen Briggs, Peter Briggs, Steve Briggs. Watering Team: Mark Wassmansdorf (Watermeister), Chris Bushnell, Michelle Detwiler, Bobby Harmelin, Karen Hinckley, Toba Spector, Ellen Briggs. In addition, Chris Bushnell once again donated his woodworking talents to frame and install our beautiful Wildlife and Respite Garden sign, which was designed by Ellen Reese and Gary Stein. Gary also fixed the gate hardware for us so it is now a pleasure to open and shut those gates. P.S. We were so busy working that we didn’t get stop to make sure and get pictures of each of our volunteers–we’ll try to get photos of everybody in 2016! 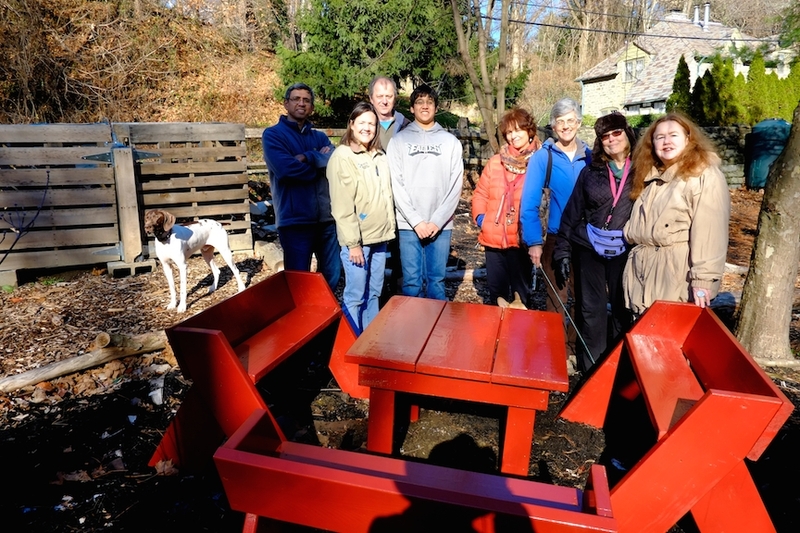 This entry was posted in Volunteers on February 24, 2016 by Ellen Briggs. 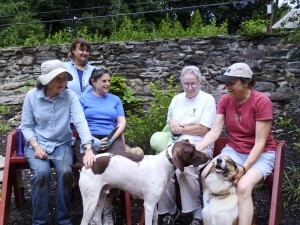 This entry was posted in Volunteers on April 26, 2015 by Ellen Briggs.